Blackberries make me nostalgic for childhood late summer Sundays at my grandparent’s home. After the family lunch, my cousins and I would take to the woods with bowls under our arms to pick the hedgerow fruit for a delicious homemade dessert. I haven’t grown, picked or eaten blackberries for quite a while but Marshalls’ have reignited my appetite for the traditional berry by giving it a makeover and becoming the first retailer to offer the brand new Polarberry, the first white blackberry in the UK. As well as the unique colour, there are a number of other benefits Marshalls describe of the Polarberry that’s attracted my attention. One key feature, which is really important to me and my ambition to inspire more people to grow their own, is the upright growth habit of the Polarberry means they will grow well in containers and are therefore accessible to those with a small garden or just a patio. The plants will arrive in 9cm pots and are naturally ready to produce lots of fruiting stems once you plant them up in autumn in rich soil with plenty of organic matter. 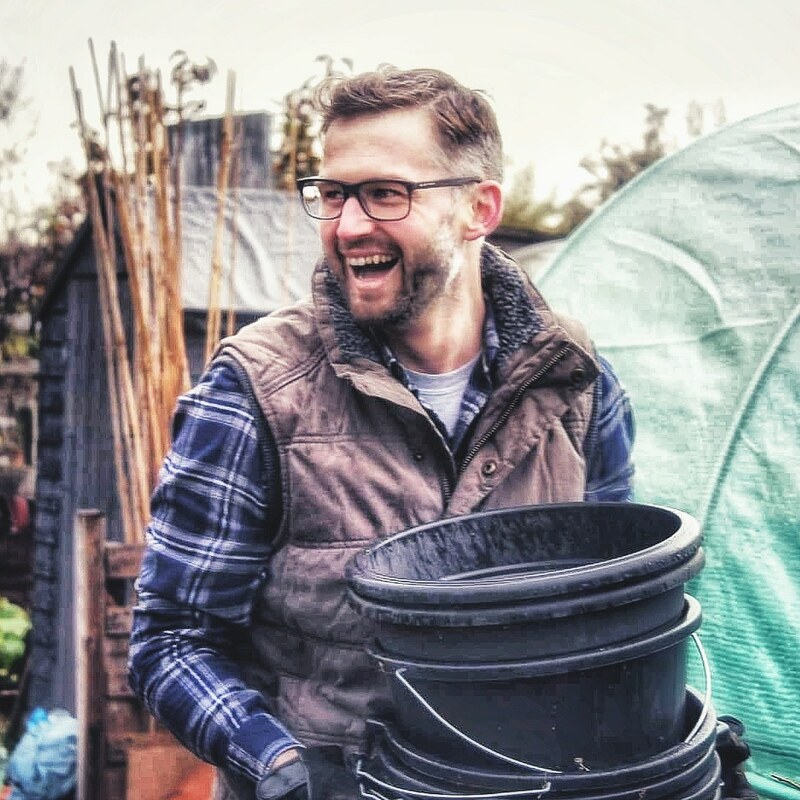 The plants can either be planted in a 12in (30cm) diameter containers or spaced one plant per square yard (square metre) in a bed or on your allotment. Cut back fruited stems to the ground in the second and subsequent autumns and tie in the new leafy stems to supports- these leafy stems produce the Polarberry fruit for the following year. If you fancy growing Marshalls’ Polarberry, it’s available to pre-order now, ready for delivery in the autumn. One plant costs £9.99 (available here), however for a special limited period customers are able to buy 3 plants for the price of two for £19.98 (available here). Marshalls are providing me with the new Polarberry to try this autumn. If you do order some, I’m keen to know how you get on. Hi Beryl. I agree and it’s one thing I’m a bit disappointed with. No mention of taste. Will be reporting back on the blog.. hopefully after a harvest next year. I’m definitely in agreement with Beryl here as the Charlotte Russe affair has left a very bland taste in my mouth. Polarberries do sound very interesting though and I’ll certainly be following how you get on with them over the next year. As a newly released variety from a large seed company, it does make me wonder how much emphasis is on novelty rather than flavour as part of product development. I think that’s a very good point. It’s one I certainly found myself considering when writing this post. I’m definately for unique colours on fruits and veg but, taste is an essential part of wishing to grow these varieties. I look forward to funding that out next summer. As you’ve probably guessed, I’m also quite a sucker for funny coloured fruit and vegetables! I hope it does taste good as I do rather like the look if it. Good to know this can grow well in pots, might just be something I can encourage my son to grow on his high rise balcony, as for the flavour, they’ll go straight in the cocktails anyway knowing him. A regular Tom Cruse ;)Thanks for the review Richard.